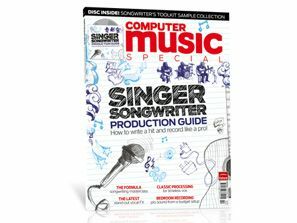 A new special from TG's sister mag, Computer Music, is on sale from today (22 February). Titled the Singer-Songwriter Production Guide, it does exactly what it says on the tin - detailing everything the budding bedroom writer/producer needs to know about recording at home. Learn how to write a classic pop song, record like a pro with your bedroom setup and process vocals using cutting-edge and timeless techniques - all this and more is yours with our brand-new CM Special: Singer-Songwriter Production Guide.